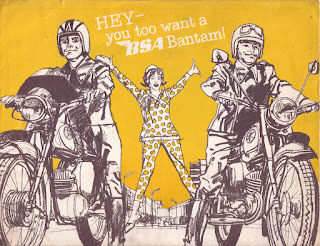 Hey - you too want a BSA Bantam. 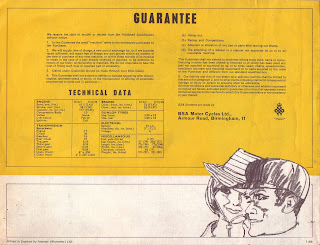 You do because our brochure is massively yellow and swinging and the chick wearing a giraffe pattern pajama suit tells you. 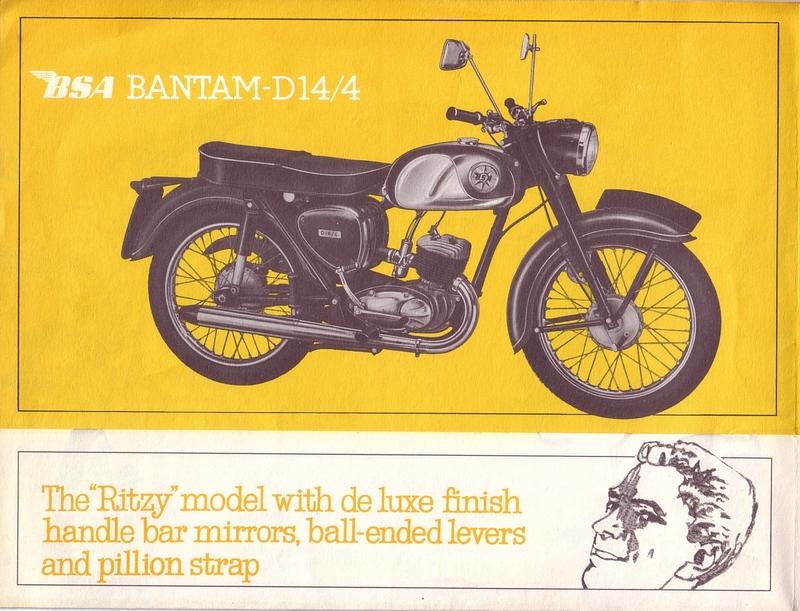 BSA Bantam brochure 1968 page 1. 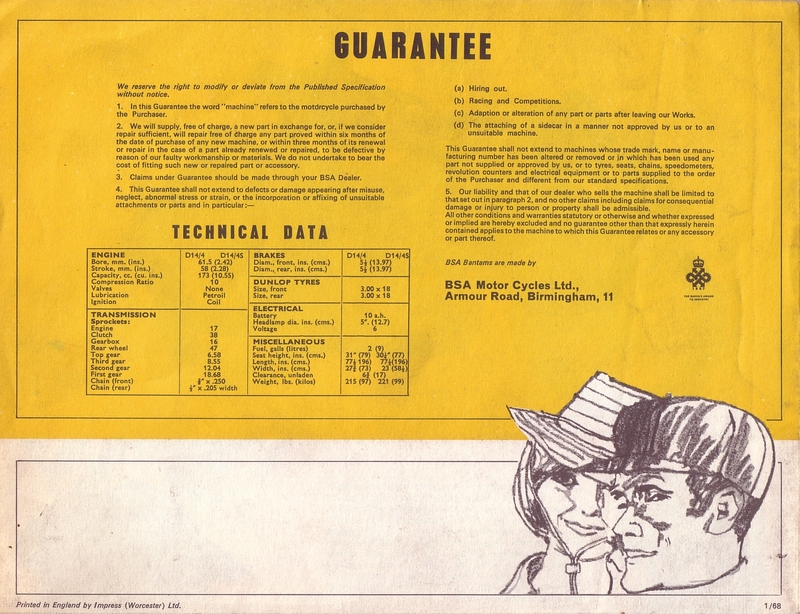 BSA Bantam brochure 1968 page 2. 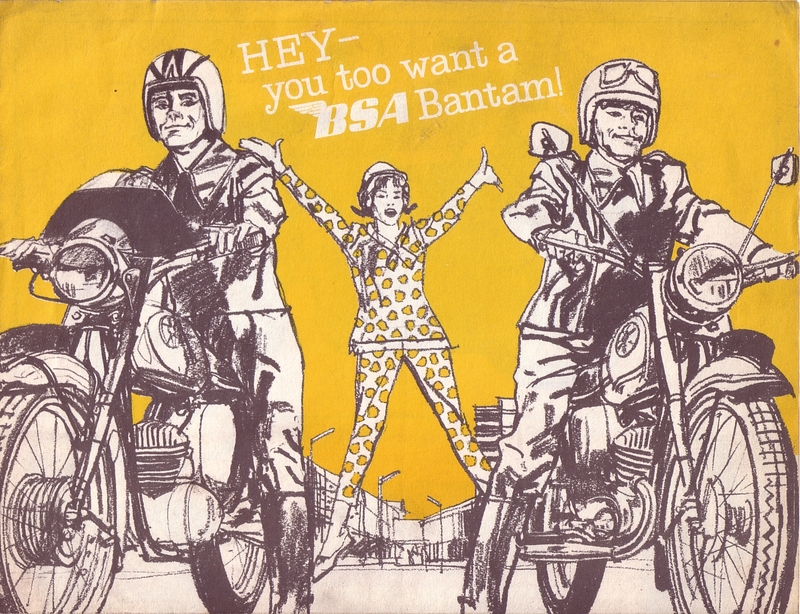 BSA Bantam brochure 1968 page 2 fold down. 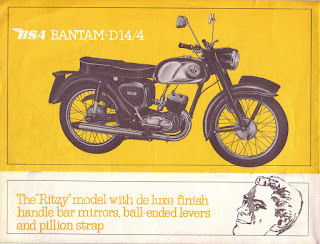 BSA Bantam brochure 1968 page 3. 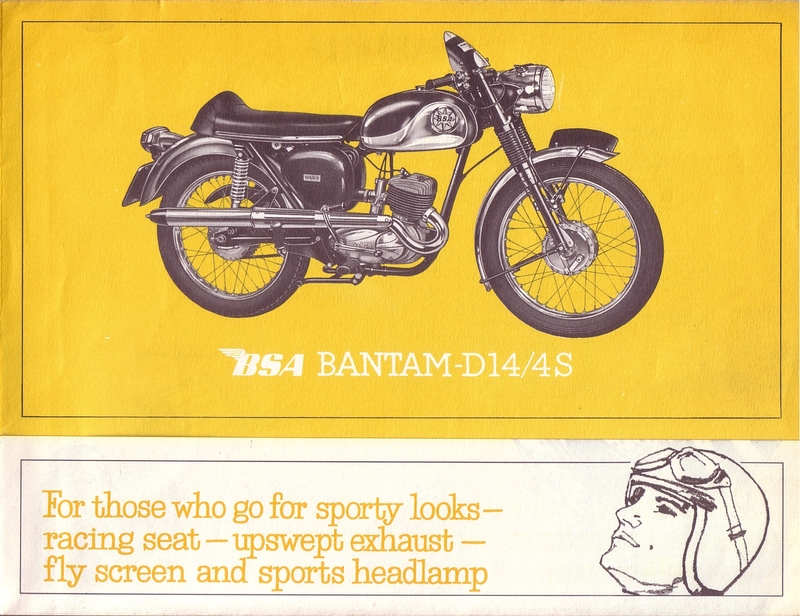 BSA Bantam brochure 1968 page 3 fold down. 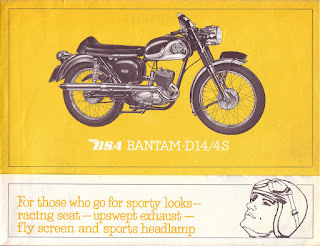 BSA Bantam brochure 1968 page 4. 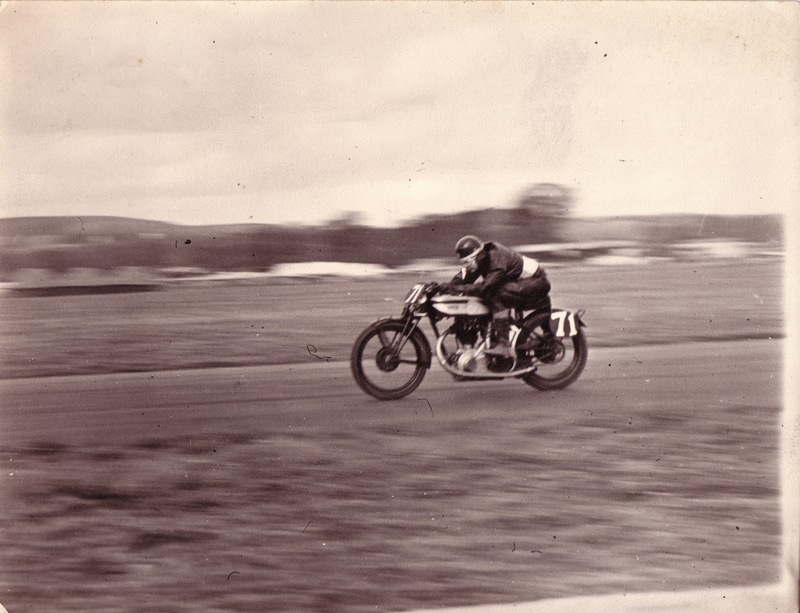 This picture is annotated on reverse, "R. A. Beecroft Goodwood 14th April 51 1928 Norton 490". In 1951 it is as likely that the bike was still being used in anger at a time when clubmans racers were usually modified road machines or older model pukka racers. 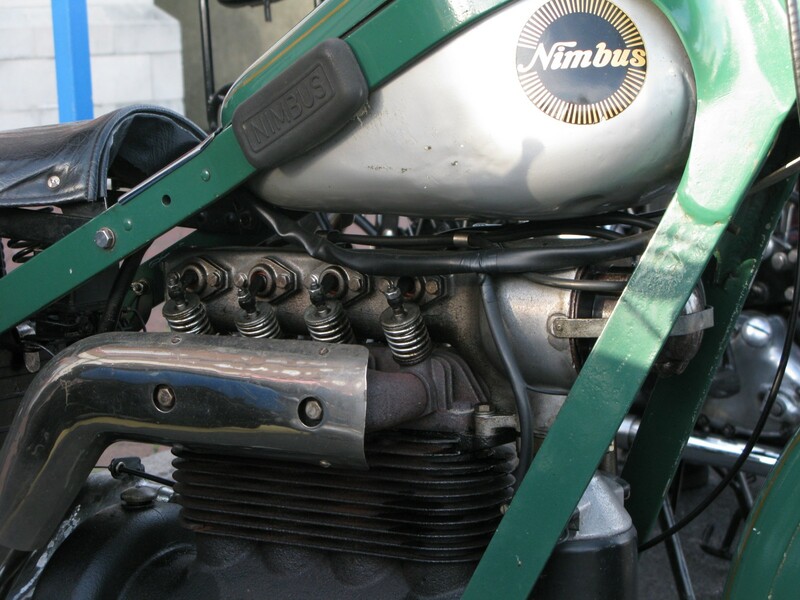 Proper made to race current machines were way beyond the means of most enthusiasts. 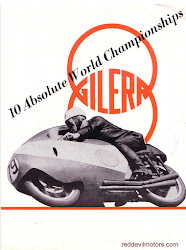 Just possible though that it is a very early vintage race. If anyone can spread any light please get in touch. 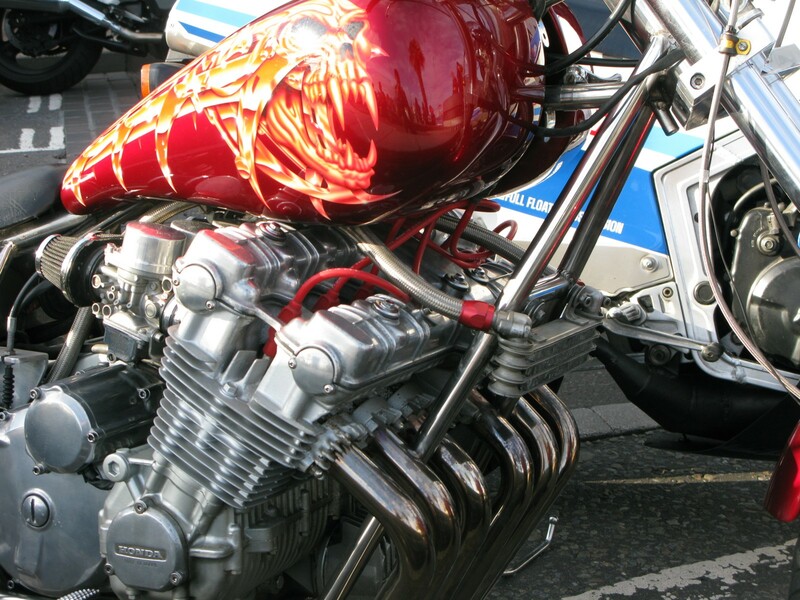 Red Devil Motors is now on Facebook. 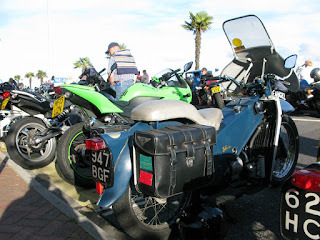 Getting to know when there are new posts through blogspot can be troublesome. 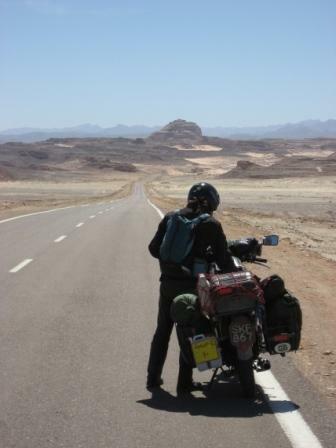 Facebook is the simplest way to get notifications of new posts. All you have to do is like us. 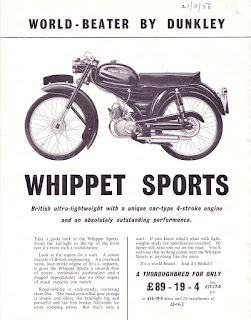 The mighty Dunkley Whippet. 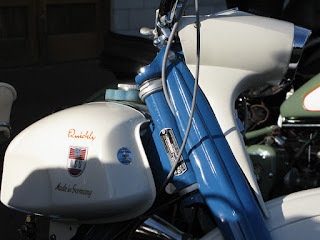 A bit of a change of direction for pram manufacturers Dunkley but back in the fifties plenty wanted a piece of the moped pie. I'm torn between the Whippet name conjuring up images of lean race dogs or dour pigeon fancying folks in flat caps. 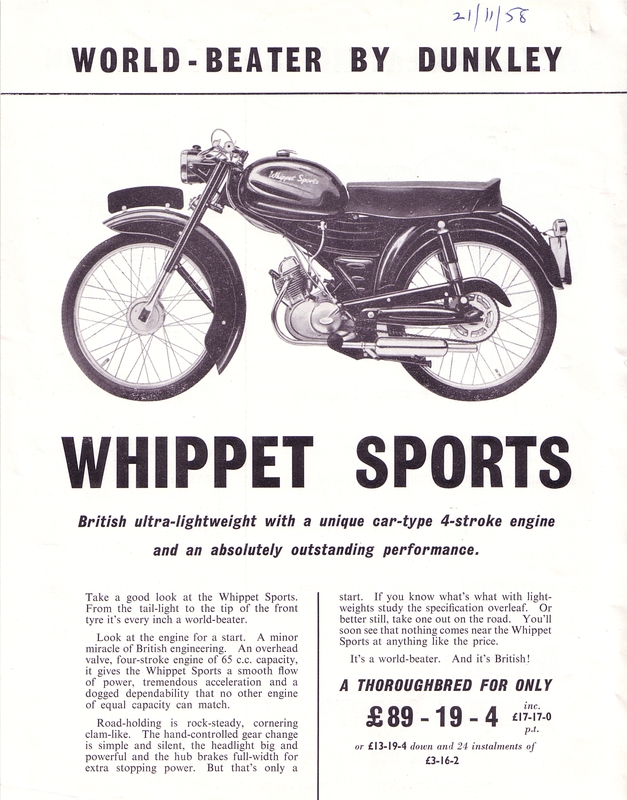 Either way the Whippet is a fine looking machine, very Italian influenced (as to be expected when many cycle parts were sourced from Italy) and decidedly unusual for a British moto of the period being a four stroke in the sub 125 capacity class. 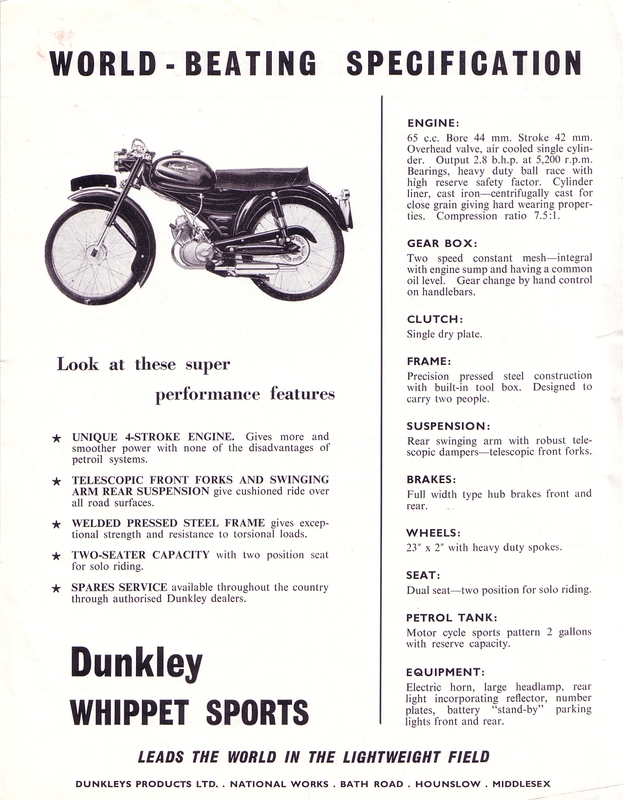 Dunkley Whippet Sports brochure page 1. 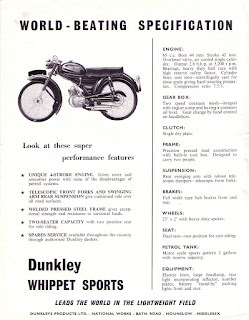 Dunkley Whippet Sports brochure page 2. A rare treat to see a fifties Nimbus out and about. 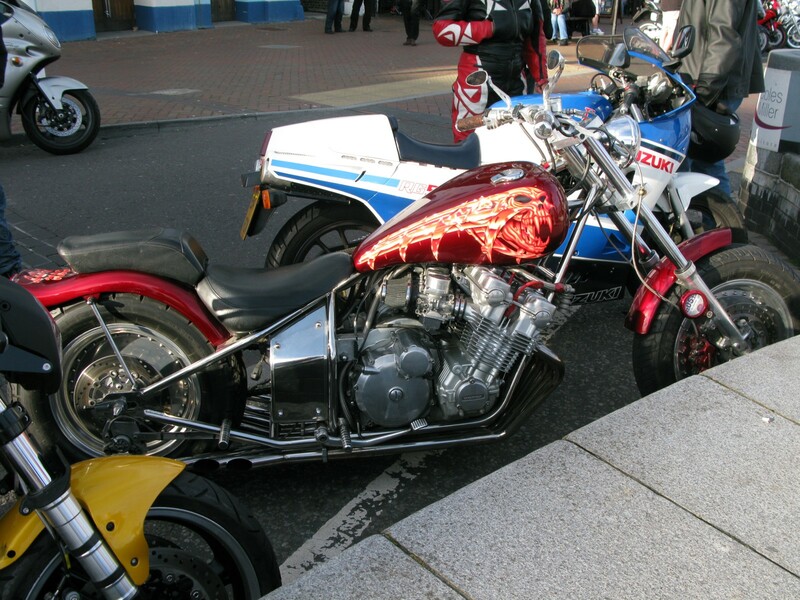 Not my cup of tea but a Honda CBX six based chop is a rare sight. MK III LE Velocette enjoying the late evening sunshine. 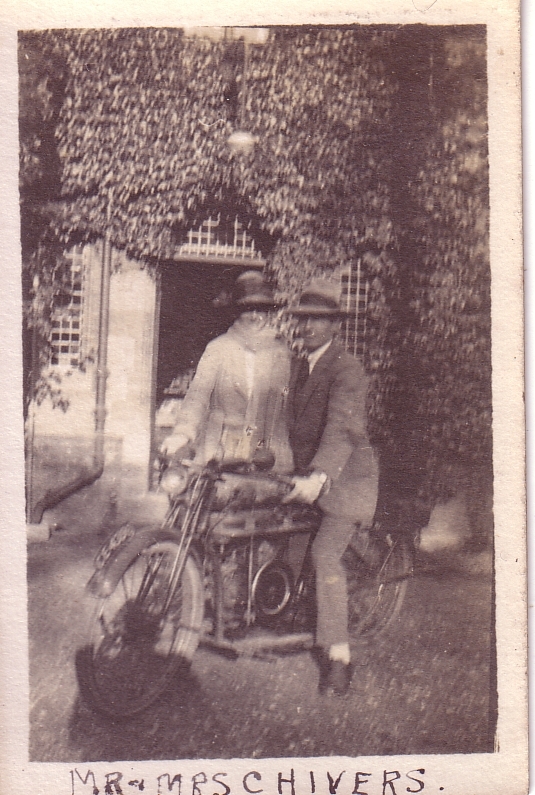 Dapper couple with twenties Douglas. I'm no expert on Douglas motorcycles so have't got the first idea what the model is apart to say it is from the twenties and Mr and Mrs Chivers, though not really dressed for motorcycling, are a snappily dressed couple. Finally a sunny day and out for a spin on the loaned (thanks Dad!) Triumph 3HW accompanied by Ian on his Kawasaki W650. 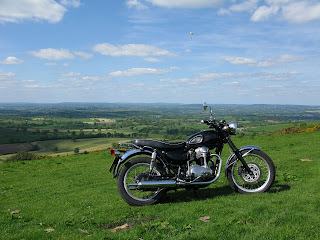 Bimbled around lanes of North Dorset up to the highest point in the county, Bulbarrow Hill. 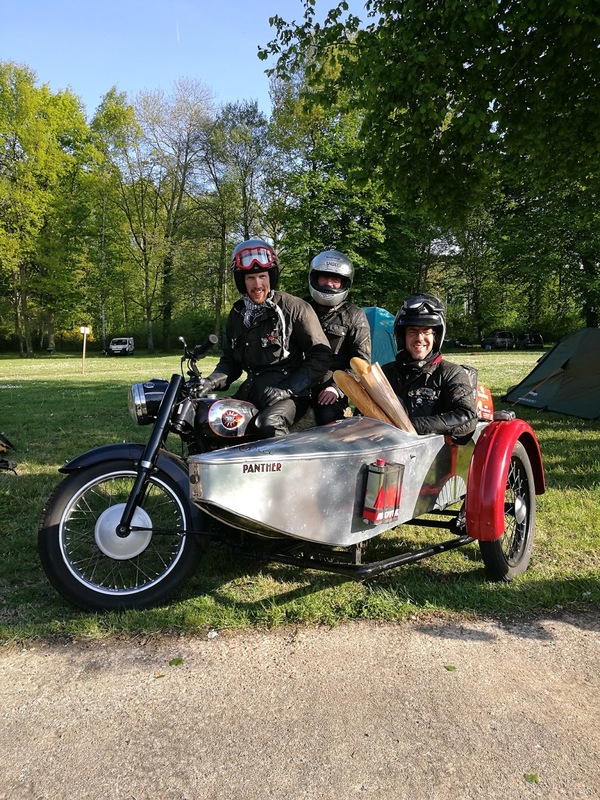 Saw a few guys Paragliding and rode up a track to take a look. 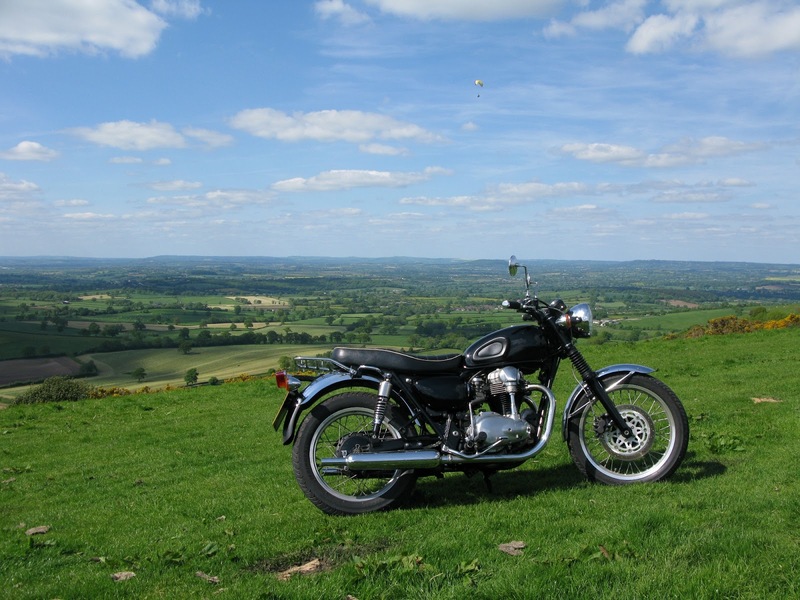 Kawasaki W650 on Bulbarrow Hill. 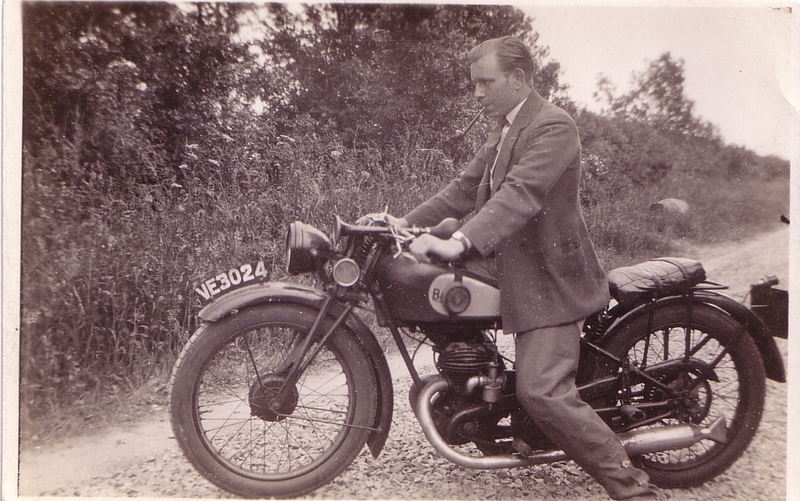 This gentleman is astride a Baker with Villiers motor. 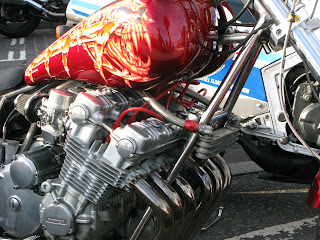 It looks like the engine is a Villiers 172 Super Sports. 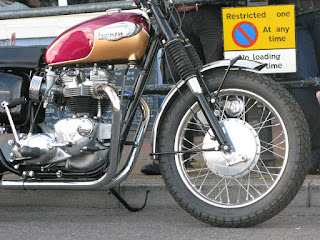 Bakers had a reputation as being good quality lightweight machines. 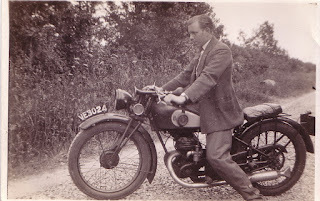 Frank Baker who set up the marque had a long history in the motorcycle industry having formed Precision Motorcycles in the veteran years firstly supplying engines and then complete machines. 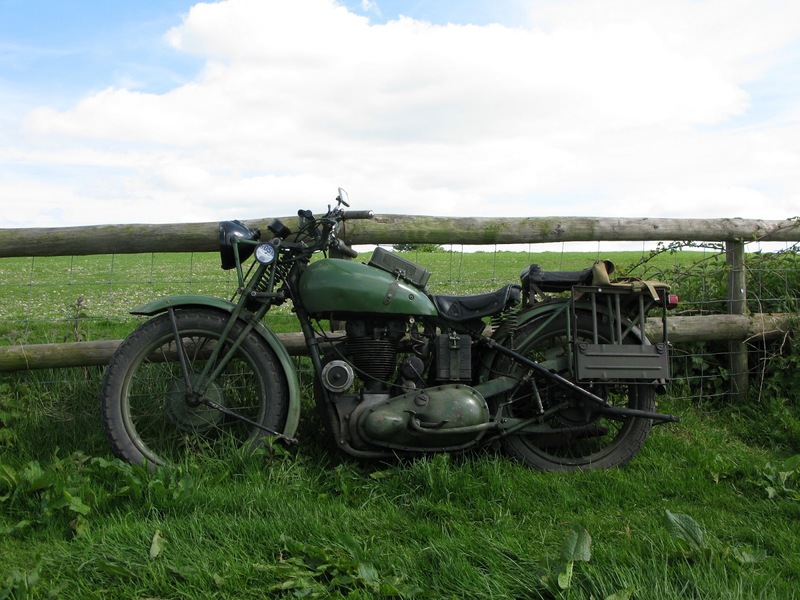 After the First World War Precision merged with Beardmore, and later the quirky Beardmore Precision machines followed. Baker was formed as a marque in 1927 and sold out to James in 1930. Late twenties Baker motorcycle, maybe a Super Sports model.